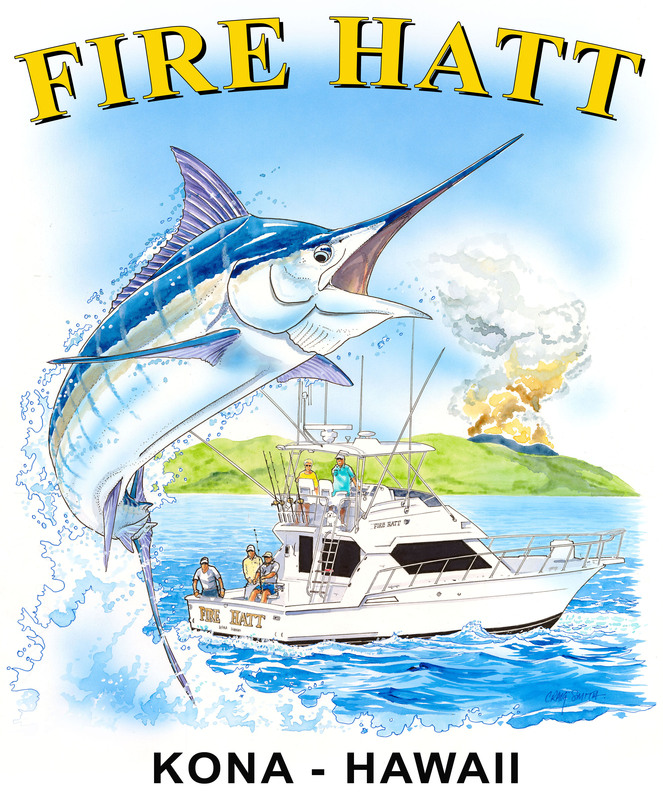 One Of The Most Product ive Blue Marlin Seasons Of All Time. 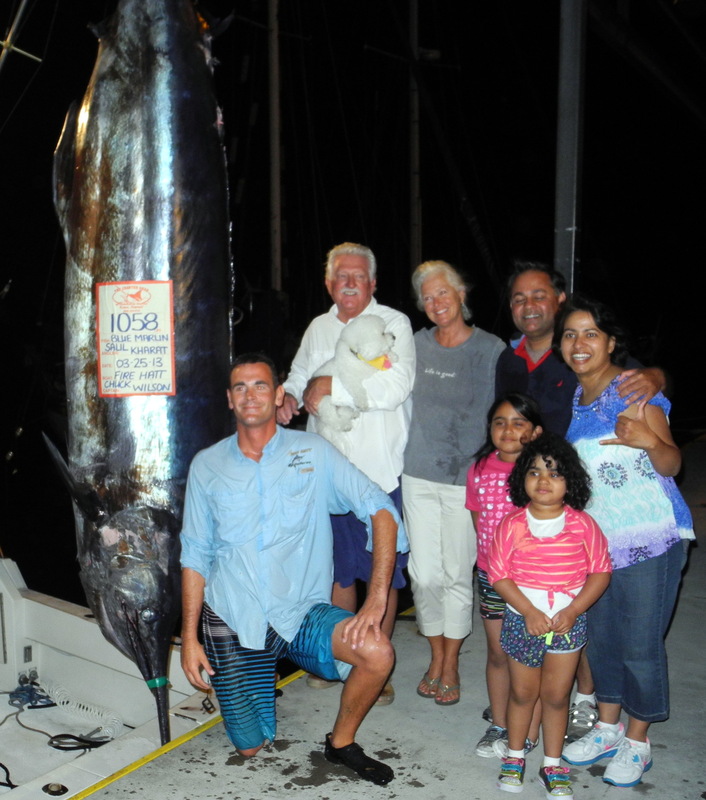 This month a 1075 pound Blue Marlin was weighed. 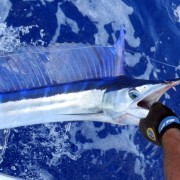 That is indeed a World class Marlin. 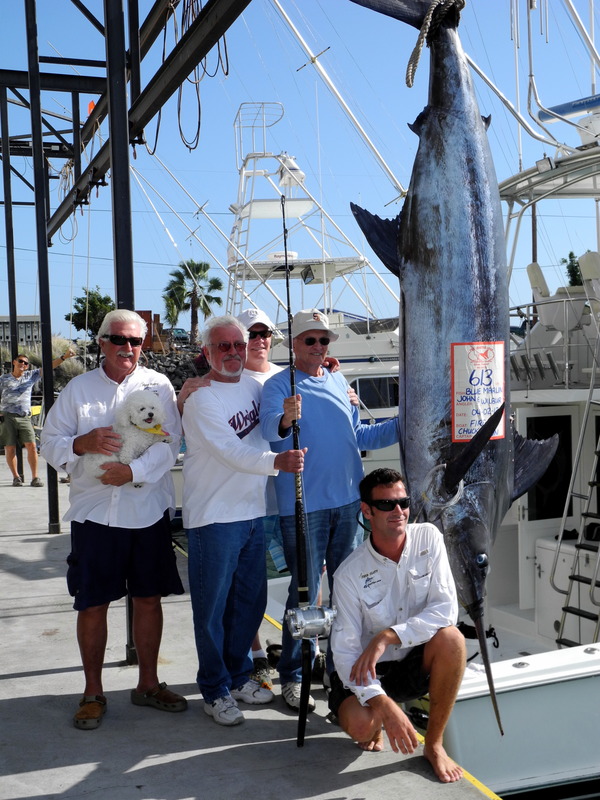 The summer news up until yesterday was that during the week before, over 112 Big Blue Marlin were released. 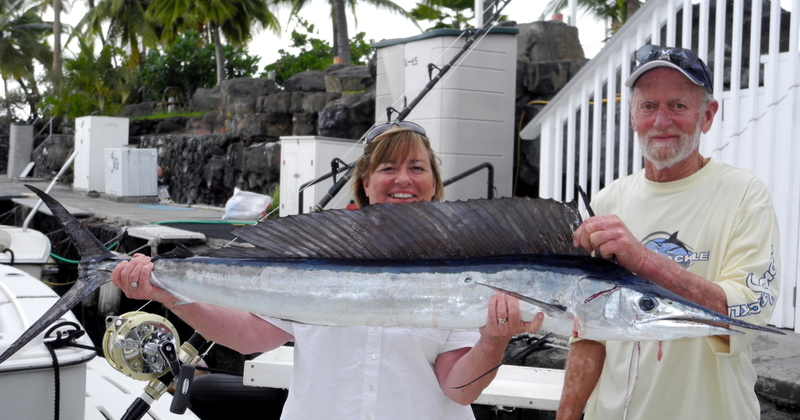 Jim Rizzuto, a famous Author and Hawaiian fishing History authority has been writing about how in a one week period in August 2015, Kona Hawaii may have had the most Blue Marlin releases of all time. Clearly in the Charter Community this is an inexact statistical endeavor, but all documented evidence points that way. What we look forward to in September 2015 is continued warm Ocean waters, bait remaining in near shore waters and fantastic fishing. Over the past five years, the warmest Ocean water of the year has been occurring in October. 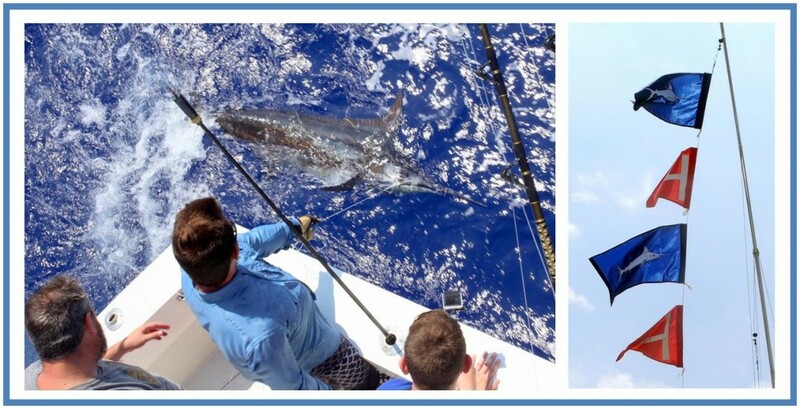 Just for the record, we have Blue Marlin catches year round to release and weigh, and we are reaching peak season right now. What does this mean??? I honestly believe we are in for great fishing in September and October barring any great weather upheaval. 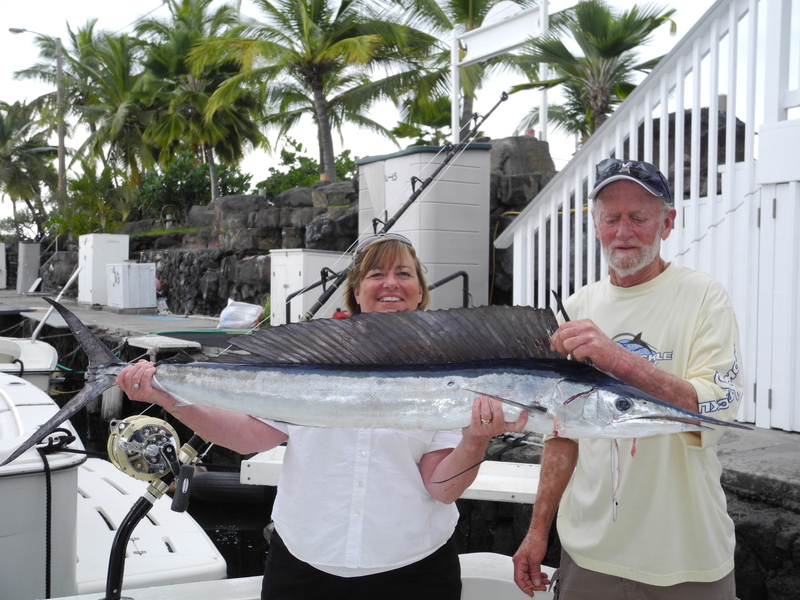 There has been an increase in Mahi catches as well and it is great to see the busy fishing action for our guests. 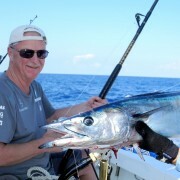 I promise you, all of the Charter Captains want to see our guests succeed and catch their new lifetime record fish, it’s just that we cannot make them bite. 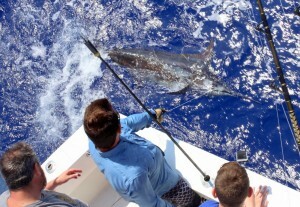 ** Credits to Joe Rittenhouse and his Family for the Release Photo of their 200+ Pound Pacific Blue Marlin. The Rittenhouse’s were one for two on releases.